Theme Installation is temporarily unavailable until May 1st, 2019. We apologize for any inconvenience! 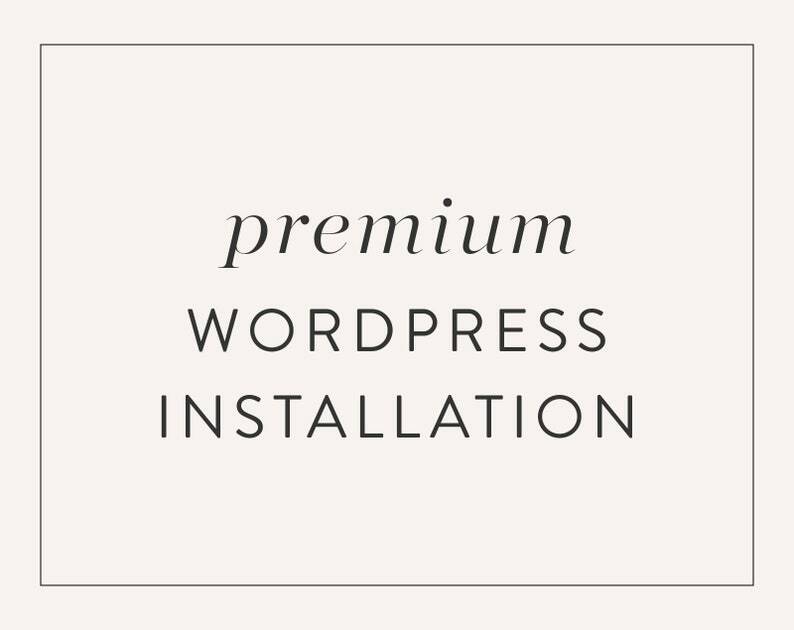 Need help installing your new Premium WordPress Theme? We would love to get your site looking gorgeous for you! 1. Purchase this installation package. 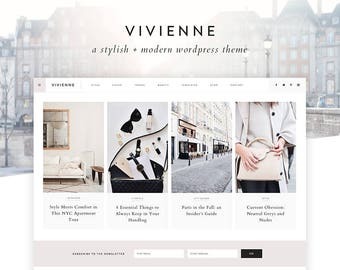 You can either purchase along with your WordPress theme or separately later. 3. Once we receive your form, your installation will be booked into our schedule. Installation is typically completed within 5-7 business days. 4. After we install your theme, you’ll receive an email letting you know installation is complete. Then you’ll be ready to launch your beautiful new website! You must have a domain, hosting, and WordPress.org software installed on your site prior to installation. If there is any missing information on your installation form, turnaround time will be delayed. Please verify that all login credentials you send are correct and working. The theme will be set up on your site to look just like the demo, unless you specify otherwise. Contact us first if you want the theme set up differently than the demo. Color and font changes are available for an additional fee. Please note that we do not offer this installation service for sites hosted on Wordpress.com (Business Plan). You must have third-party hosting not affiliated with Wordpress.com (such as Bluehost, GoDaddy, etc). Need your site ready in a hurry? Choose the "24 hour installation" option at checkout and we'll have your theme installed & set up on your site in no time. Website was installed under the estimated time frame. Customer service was exceptional in answering any questions and fixing any issues. I would highly recommend. Kate is amazing!! She set up my site perfectly. She is extremely helpful after the site is set up as well. She's answered any questions I've had. I love the way my website looks. Love everything about the site and how helpful Kate is! Very grateful, thank you!